I have run the calibration to with no improvement. Any suggestions would be greatly appreciated. I wonder if you Omni main board is hosed? Might wan to contact support. @flamaest I was thinking that might be the issue also. I think I found the real culprit. I found this while packing it up because I am moving soon and unfortunately my omni will be in storage for a few months at least. 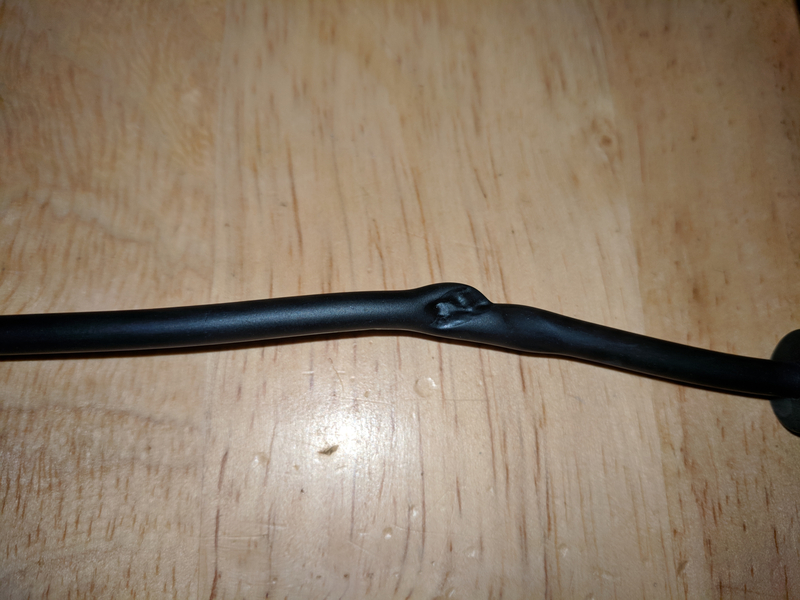 I'm going to replace the crushed cable but won't be able to test it for some time.